Rustic chairs, benches and tables can be made from different woods depending on style and use but all add unique interest to the home and garden. 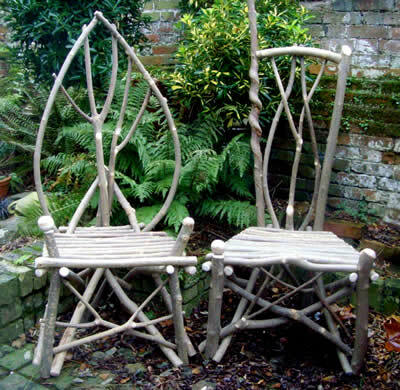 Bent wood chairs normally made from hazel and willow always creates interest. Great fun to go on a course and make your own.